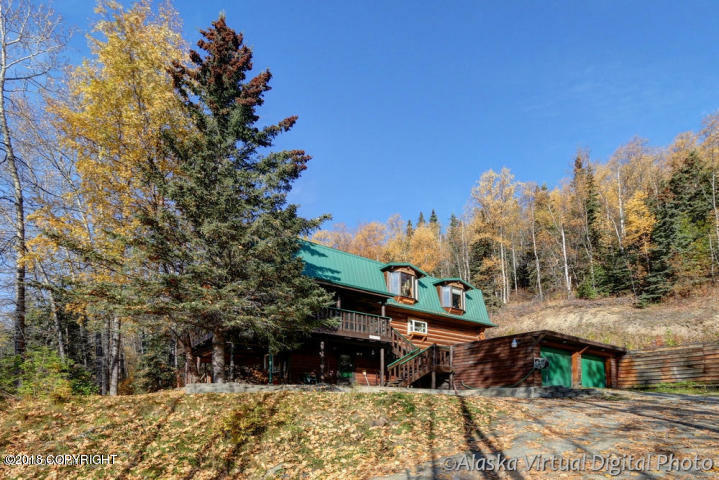 Private Alaskan log home situated on 1.27 acres at end of road location! Mountain views, remodeled kitchen, upgraded lighting, beautiful hardwood flooring upstairs, new carpet, large laundry area and extra rooms for office. Loft and wood stove, outstanding large logs throughout and tons of windows to let sunshine in. Greenhouse and shed. Must see.